A gunman who opened fire during a Florida school board meeting before apparently committing suicide left a “testament” on his Facebook page that blamed the “wealthy” for his crime. Clay Duke, 56, pulled a pistol during a Tuesday school board meeting in Panama City, Fla., and fired several shots, according to press accounts. A security officer for the school system shot and wounded Duke, who then fatally shot himself, police told reporters. Before pulling the gun, Duke used a can of red spray-paint to make the letter “V” inside a circle on a wall of the meeting room. 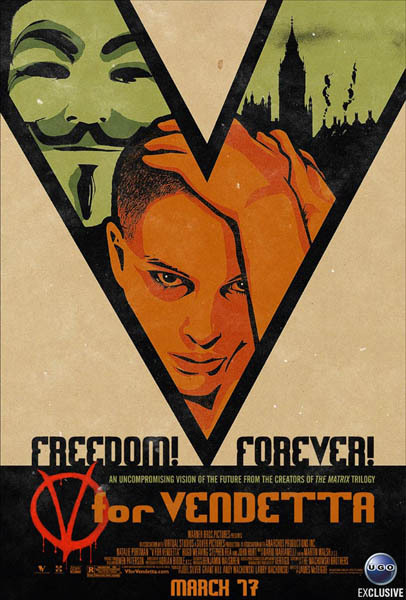 This was evidently a reference to the 2006 movie V for Vendetta, in which a character uses terrorist tactics to fight an oppressive government. While holding board members and the superintendent at gunpoint, Duke complained that his wife had been fired by the school system. Mediaite questions both the decision to air the shooting spree at a Florida school board meeting and its reporting of the incident, but haven’t we passed the point of taste several years ago? It’s been at least that long since cable news networks started breathlessly covering high-speed police chases that have no relation to national news; locally, LA stations carried an infamous bank takeover live while police officers got shot more than a decade ago. It’s past the time that Media Matters apologize for its hate speech.